Maps are not visible to users until they have been invited to them by another user or until a diagram has been shared with them. 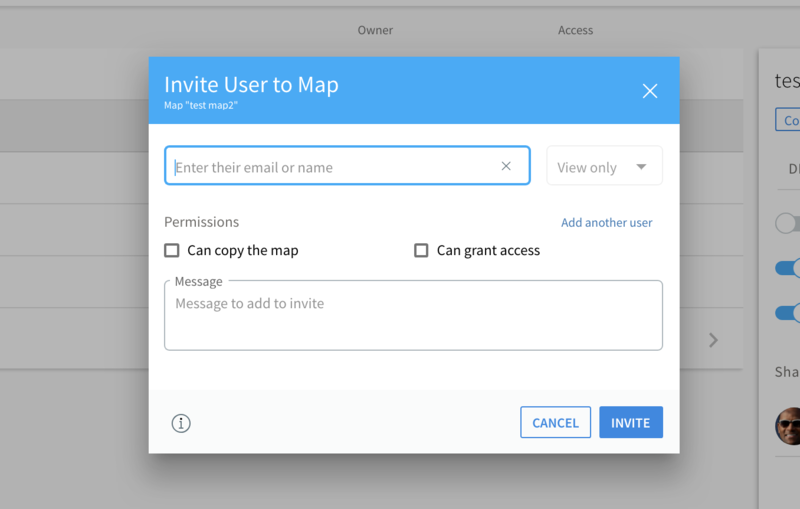 In a FREE Space any user can invite anyone to the map and grant that person up to the same rights that they have. 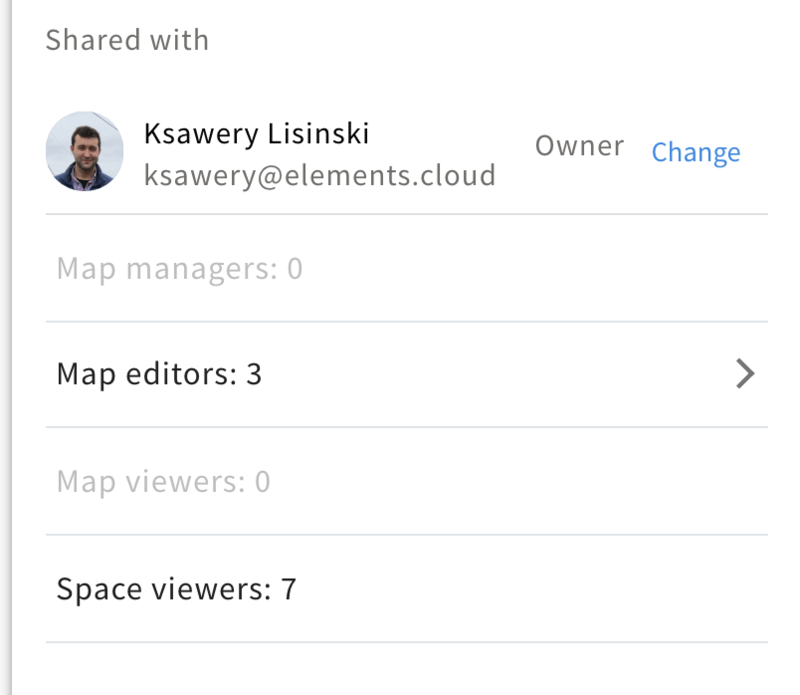 That means an editor in a FREE Space can invite another user as editor to the map & Space. In a PRO Space, however, due to licensing implications, other users can only be invited as viewers to the map. To make that user an editor or manager of a map, they first must be given editor license in space management. There are a number of different user levels within a map. Map owner: they can define who has access to a map and the levels of access (more advanced map management available on PRO plan). Map viewer: these are the users you explicitly invited to a map or shared a diagram with. They can only view diagrams, attachments, and make comments. Space viewer: If the option "All users can view map" is turned on then these are all the users in the space that can now view your process map. If you would like to make any of those viewers an editor you must first explicitly invite them to a map and grant them edit rights. Select "Invite to map" from the right panel of the maps page. You can turn on the "All users can view map" setting (seen on the image below), which makes all users in the Space viewers on the map. If a user has not yet registered, they will be invited with whatever message you have added. On a FREE Space, a user who is a VIEWER in the space can be made an editor on a map (and by extension in the Space) by any other map editor. On a PRO Space, a user who is a viewer cannot be made a map editor without an editor license in the space. Note: by default, the "Can copy map" option is off. To allow users to copy map, you must check that option when inviting the user or change in the share tab for a user later on.